Classes will be a mixture of slow movements and energising poses taken from the traditional Hatha Yoga system, whilst staying in touch with the breath and the internal sensations. In class we aim at creating a well rounded practice to rebalance the nervous system and the energies in the body and mind. Listening to our internal world and adapting the practice to the moment allow more awareness and self inquiry and make the practice more effective. Meditation and pranayama may be part of the sessions too. Small classes at The Sunflower Centre in Brockley. These classes run in 6 consecutive week blocks. Advanced booking only. Some Drop in spaces available, check on the booking system. A mindful slow flow to energise, relax and rejuvenate. Each class is different and as much as possible tailored to the group's needs/ the season/ time of the day. It will sometimes be more gentle or more dynamic, and will include a variety of yogic practices. As an indication class usually starts with some breathing (pranayama) and relaxation, followed by a gentle warm up. We then move on to some variations of sun salutations (surya namaskar) and standing postures (asanas). Floor work follows to slowly wind down. There is time for attention to detail, and for practicing noticing. The last part of the class can include meditation, and always a time for quiet relaxation (savasana). All levels welcome (except complete beginners). A gentle class to deeply relax, move and breathe mindfully, and also to build strength and suppleness in a gentle manner. 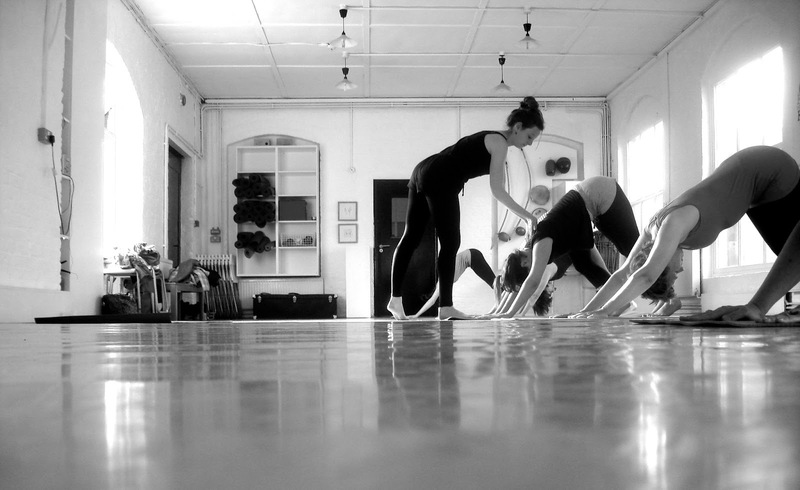 Class usually includes a long warm up on the floor with some breath work, gentle movements and stretches, followed by some standing postures to build strength and stamina, linking breath to movement. We finish on the floor with a wind down and relaxation. A class to deeply rest and rejuvenate, unwind physical, mental and emotional tension and fatigue. The whole session is floor based and can include a mixture of gentle somatic movements to free the energy body and allow circulation of fluids, as well as some held postures with props such as bolsters, blocks and blankets to deeply let go and be supported. There will sometimes be time for Yoga nidra as well and / or meditation . This style of practice is wonderful to help the nervous system to shift back into the healing and rest/ digest mode.